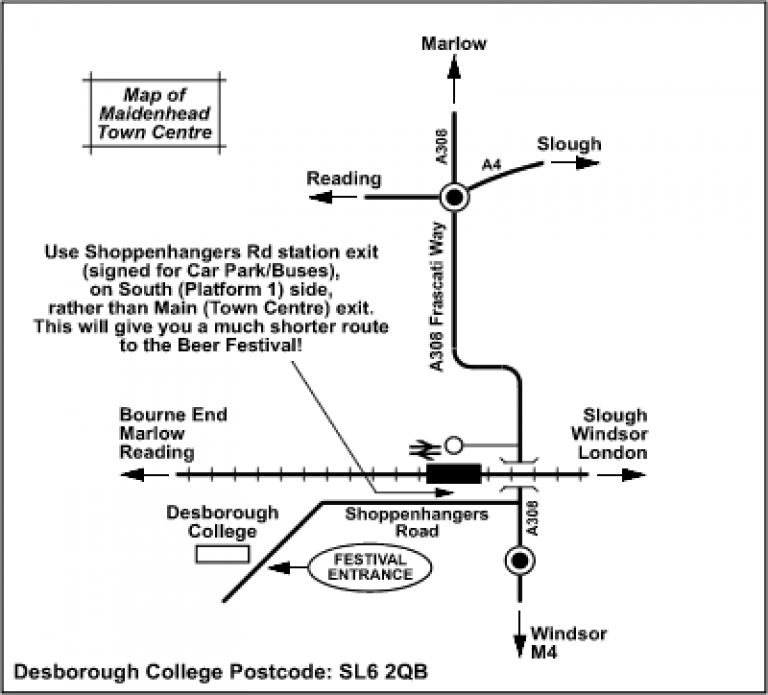 Here is a map of how to get to Desborough College. Note: If arriving by train, please use Shoppenhangers Rd station exit (signed for car park & buses), on the south side, platform 1, rather than the main exit to the town centre. This will give you a much shorter route to the beer festival.